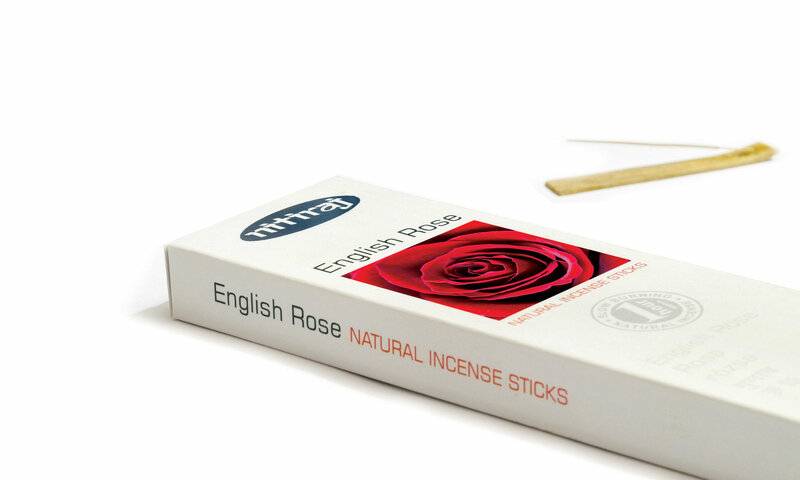 From humble beginnings in 1978, Nitiraj was formed in London to introduce the first quality traditional incenses in the UK market which were made from scratch using natural plant based ingredients. Now the product lines have expanded and stretch across the globe, bringing quality natural incenses to an outlet near you. The flag ship line of Nitiraj Platinum Incenses really brings together 40 years experience and is the clearly where nature, beauty and fine fragrances come together. The quality incense is made in the traditional method of combining natural resins, herbs and aromatic oils combined with honey to produce fragrances that smell divine and burn very slowly (1 hour per sticks). The very first product produced by Nitiraj and is still one it’s most popular fragrances, comes in this distinctive silver and blue box. Available in three sizes 12gm, 25gm and 100gm size boxes. The quintessential champa slection made with India finest floral champa oils. Seven distinctly different varieties, made with a honey base made in the centuries old tradition using only natural ingredients. Our passion for our craft and the happiness it brings to our family of customers, spur us to continuously strive and innovate to produce the finest incense products on the planet.